With growing domestic energy demand, regional environmental targets and cost competitive technologies driving a clean energy transition across MENA, this is a vital time for the renewable energy industry to secure partnerships and develop frameworks for the complete project life cycle. Which is why MENA New Energy brings together 500+ leaders from across the core pillars of the renewable energy value chain. Meet with the decision makers behind utility-scale and C&I projects to understand who they are, what projects they are planning, upcoming opportunities for partnerships and review the latest initiatives to reach financial close – all at MENA New Energy 2019. 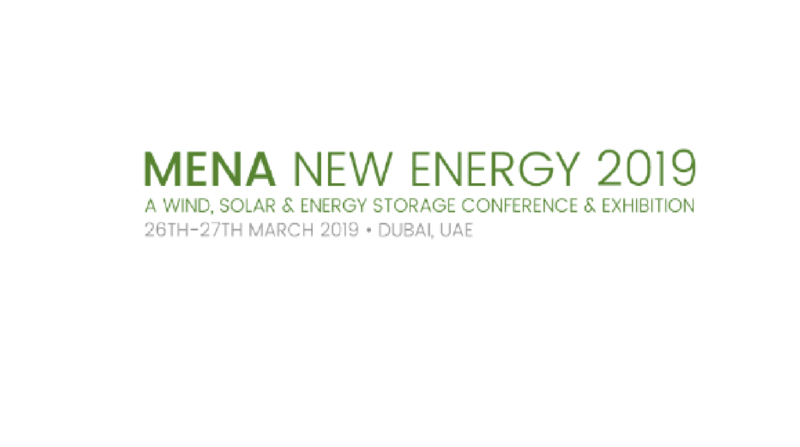 Driving finance and development of renewables in the Middle East and North Africa region– the MENA New Energy Conference and Exhibition (formerly MENASOL) will return for its 11th year in Dubai on 26th-27th March 2019. As part of MESIA’s network, we have partnered with New Energy Update to provide you with a special discount. What can you expect from MENA New Energy 2019? 500 + senior level attendees – grow your business and develop your portfolio by networking with key industry stakeholders across finance, government, offtake, development and operations! New program for 2019 – hosting discussion, debate and insight from more developers, off-takers, private off-takers, government officials and industry specialists than ever before!